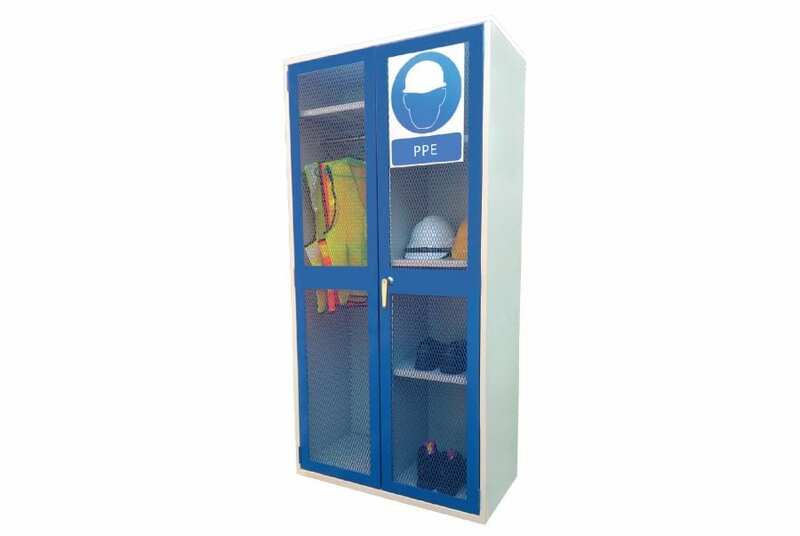 A cabinet designed specifically to orderly store personal protective equipment. Comes with a mesh wire door to allow for easy viewing of items inside and to keep prevent odor built up within. It also comes with one hanging rail for vest, jackets, or coats.